The press service of the OSCE representative to the Donbas talks published a statement. The trilateral contact group has officially announced the start of a full and indefinite ceasefire in Donbas as of the midnight of 5 March. "The trilateral contact group with the involvement of representatives of certain areas of Donetsk and Luhansk regions… underlines the importance of securing peace for the population in the conflict area in eastern Ukraine and, being guided by the previously reached agreements and obligations of the parties, confirms its complete commitment to a comprehensive, sustainable and indefinite ceasefire as of 00.01 a.m. on 5 March (Kyiv time)," the trilateral contact group said in a statement on 2 March, which was made available to Interfax-Ukraine by the press service of the OSCE special envoy to the trilateral contact group, Martin Sajdik. 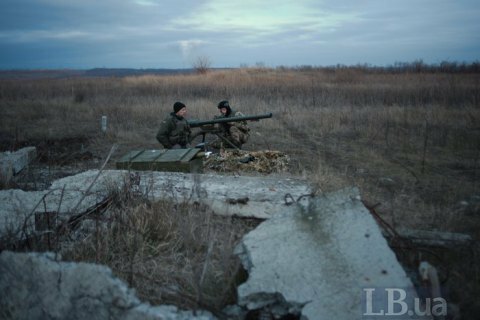 Earlier, Darka Olifer, the spokesperson for Ukraine's representative to the trilateral contact group, Leonid Kuchma, said the disengagement of forces near Stanytsya Luhanska may take place on 5 March. The previous "Christmas ceasefire" was declared on 23 December.